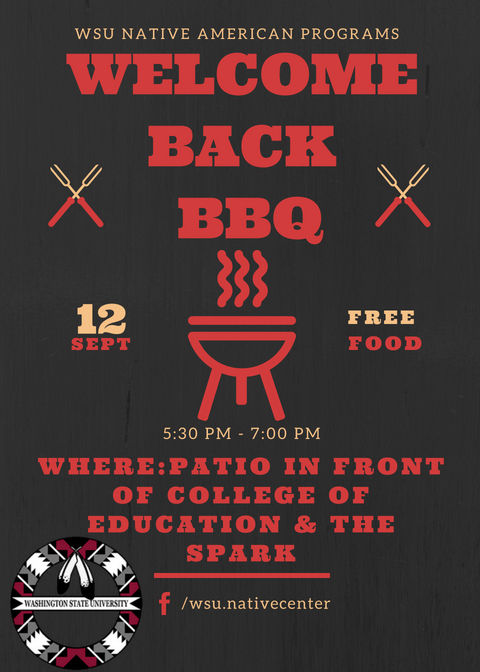 Kick off the school year at the WSU Native American Programs’ annual Welcome Barbecue! Enjoy a free, delicious dinner and get to know the WSU Native community. All students, staff, faculty, and families welcome!